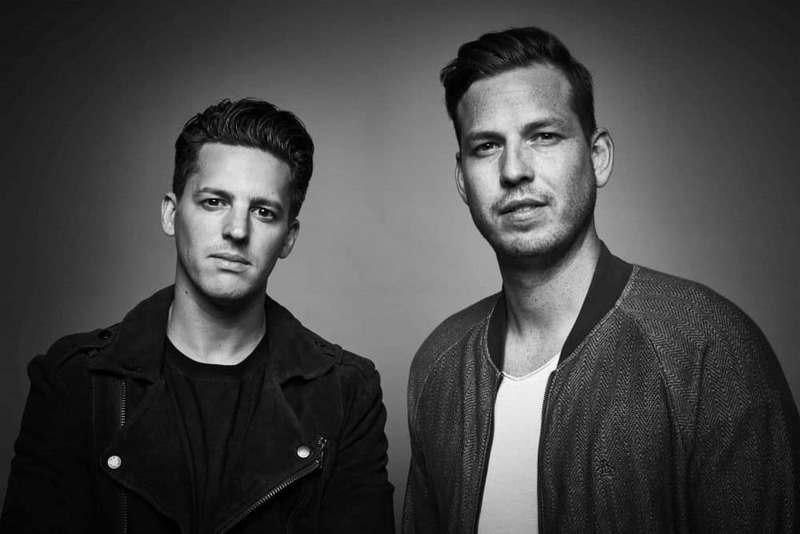 Having set clubs ablaze across the globe since storming onto the electronic dance music scene in early 2008, Holland based duo Firebeatz have swiftly merited a reputable and solid name for themselves from their humble beginnings. With distinctly unique sound, which boasts infectious bass hooks, insanely catchy vocals, compulsive beats, groove and drive, the Dutch talents have released very diverse productions, remixes and collaborations with the biggest artists worldwide on various labels, such as Flamingo, Size, Defected, CR2, Nervous and Armada. Continuing their successful career, Firebeatz, also known as Tim Smulders and Jurre van Doeselaar, have also established their own imprint for sizzling-hot dance floor scorchers, titled “Ignite Recordings“. Despite their busy international tour and studio schedule, the Dutch talents sat down with Viralbpm to discuss about their first steps as label owners, latest gigs and releases, including their smashing collab with their native fellows Lucas & Steve, titled “Keep Your Head Up” featuring Little Giants on Spinnin’ Records. V1. Recently we read some massive news regarding your own Ignite Recordings. How do you feel about this project and decision now that it’s ready and official? Firebeatz: We’re super excited that it’s finally taking off. We’ve been thinking about a next step for some time now and starting our own imprint is something that just feels right to do now. V2. Why did you choose “Till The Sun Comes Up” as your “first” single of the label? Did you have other potential candidates in mind as a first single of the new imprint? Firebeatz: We’ve been busy in the studio for the last 12 months making new music and figuring out which way to go, musically. We did a 2-week studio session in LA in 2016, that’s where we met Vertel. We vibed and came up with the base of Till The Sun Comes Up. Back home we finished the track and we all agreed that this should be the first single on Ignite Recordings. V3. What do you want to achieve with Ignite Recordings? Firebeatz: We want to release our own music of course but more important we want to make it a platform for young producers that we love. There’s so much talent and we hear so many tracks that, with a little help, are worth releasing. We hope that with Ignite Recordings, we can help taking these producers a step closer to achieving their dreams. V4. What do you have planned regarding releases and songs for the coming months? Anything you would like (and can) reveal to us at this moment? Firebeatz: We’ve got a new club track with Apster, and we’re also our collab with Lucas & Steve “Keep Your Head Up”. Furthermore we’ve got about a dozen ready-to-release tracks so it’s a matter of picking which track to release next haha. V5. What plans do you have regarding touring and live shows for the rest of the year? Firebeatz: We’ve played at EDC Orlando, plus lots of other shows coming up! We’re also hosted another ‘Firebeatz & Friends’ party at ADE show in Amsterdam in October, where we played all night long with 10 dj friends back2back2back. Was fun! V6. With a heavy and loaded schedule like yours, do you have enough time to focus on other things aside from music related things? Firebeatz: Not really, but we try to make time to work out and eat well as we notice that its really helping to feel fit when you have a schedule like ours. We also try to have diner at our parents with the whole family at least once a month. It’s difficult sometime that we’re not around our friends at times when they’re off (during the weekend) but we love what we do too much so we just deal with it haha. V7. You have worked together for many years, are there any hard times or bad moments you are recalling? Did they make you stronger in order to “survive” in a demanding and challenging business like the music industry? Firebeatz: We have always worked hard to persue our dreams, and it has worked out well for most of the time. It can get challenging when you work with parties that have a different view on the way forward, but we have known eachother for so long now, we always have eachothers back and make sure we stay positive all the way through. I guess that’s the power of Firebeatz! V8. Firebeatz, how would you say has your music style evolved over these years? What or who did influence you throughout your career? Firebeatz: We used to listen to a lot of Daft Punk, Prodigy and later on the Sneakerz era with releasing artists such as Gregor Salto, Fedde Le Grand, HouseQuake, Erick E and Funkerman. They inspired us to create and play music ourselves. We also learnt a lot by making collabs with artists such as Calvin Harris, Tiesto, Sander van Doorn, Martin Garrix and Chocolate Puma as they all have their own view on (making) music which inspired us as well.